You don't want to miss our annual tent sale. Swing by and check out our annual promotion that features discounts on most of our products. Are you looking for a new belt? Is it time to replace your boots? 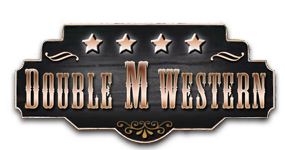 If you're on the hunt for Western wear in Ballston Spa, NY, look no further than Double M Western Store. We opened our doors more than 50 years ago and have been providing area residents with affordable Western wear ever since. Our shelves are filled with all of the merchandise you need to complete your look. Visit Double M Western Store today to shop for the Western wear you need. Call 518-885-9543 with any questions about our in-store selection. When you need affordable boots, belts or other Western wear that will stand up to your daily chores, visit Double M Western Store. We know you want affordable hats, accessories and boots. That's why we're committed to providing competitive prices on everything we carry. See what we have in store for you. Stop by Double M Western Store right away to shop for the Western wear you need. Not sure what to get your loved one for the holidays? Are you searching for the perfect birthday gift? Purchase a gift card from Double M Western Store. Your recipient will be thrilled with a gift certificate from our store. We take pride in carrying a complete line of Western wear and accessories. Call Double M Western Store at 518-885-9543 today for more information about our gift cards or product inventory, or drop in to shop our merchandise selection. We look forward to greeting you. Items may be exchanged for store merchandise or a credit to the Double M Western Store for future use. There are no refunds. Items must be returned in the same manner as purchased. Tags must be on items & not worn. Worn merchandise cannot be exchanged. All exchanges for store credit or merchandise MUST be done with a sales slip.